Six months on, I’m not so sure this was a good thing as it’s led to a resurgence of antisocial, fast pavement cycling in cities. This is observably worst in rain, when the pavement-bombers just get their heads down and hit the pedals hard, oblivious to anyone else in their path, SPEED,SPEED,SPEED being the only thing on their tiny selfish minds. The issue here is that once you declare that an ostensibly illegal action will be tolerated, you create difficulties when it comes to dealing with the more serious transgressors who are creating a public nuisance or hazard. This is about as good an idea as if we should show greater leniency in enforcing speed limits on boy racers, on the grounds that the more powerful the car, the easier it is to accidentally exceed the limit. If it’s illegal, it’s illegal for a reason. Years ago, pavement cycling was outlawed, and it still is illegal. It was outlawed by people with greater insight and wisdom than those in office today. I disagree, the people bombing down the pavement have never listened to what government ministers say anyway, I very much doubt their habits have changed significantly! Six months ago it was still cold and every summer we see more lads on bikes speeding down pavements. 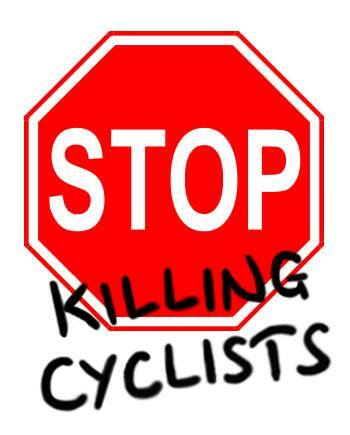 Where the roads are simply too dangerous to cycle, people should be able to cycle considerately & safely on the pavements without breaking the law. There is no change to the guidance, this was simply reminding the police of the guidance issued previously. Guidance like this is used on a very large number of law and order issues and the police make judgements on what is OK or not on a daily basis.